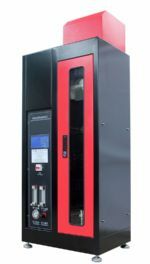 Single wire / cable vertical combustion tester mainly for the conductor diameter greater than 8mm (section area is greater than 0.5mm2) or less than 8mm (section area less than 0.5mm2) of single wire and cable flammability evaluation. Suitable for lighting equipment, low-voltage electrical appliances, household appliances, electrical tools, electric motor, electric tools, electronic instruments, electrical instruments, electrical connectors and accessories such as electrical and electronic products and components of the research, production and quality inspection department. 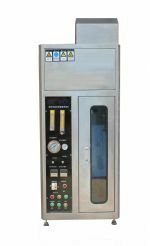 This section adopts the recommended product structure of the air mixing structure in Appendix B of GB18380.12-2008, and also meets the requirements of the quality inspection unit in detail. Application: Rated voltage 60 V and 600 V single core road vehicles with low voltage electrical system of primary cable flame retardant test, automotive wires. 3)Tested wires length:600mm(24 in), Sample clamping Angle:45 degree. 4)The bunsen burner has 13mm inlet hole and 10mm (3/8 in) nominal diameter, spray fire pipe outer flame diameter is 100mm (4in), inner flame is 50 mm(1/2in),temperature of inner flame as least 900 degree celsius. 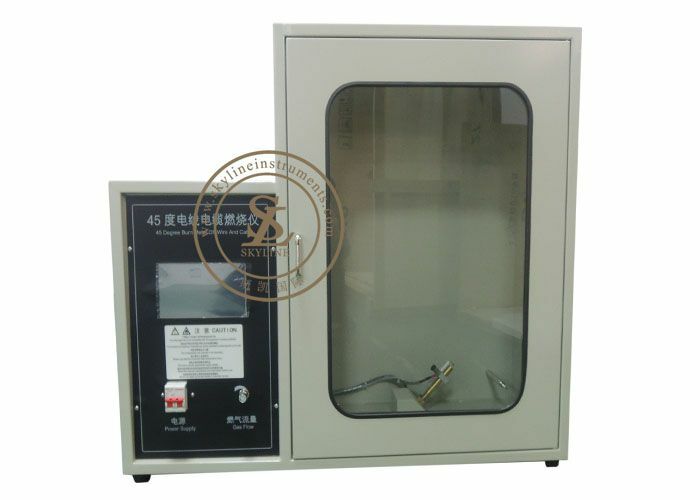 6)Automatic ignition: flame burn the sample continue 15 seconds and be off automatically. 7)After burning 15 seconds, will time the continued burning, complete the continued burning time until the continued burning crush out and put off the stop button. 8) Burning gas is not supplied with the tester; it should be supplied by customer. Single cable vertical burning test is set by size Bunsen (Bunsen burner) and the specific gas source (Bing Wan), according to a certain flame height and some application of flame angle on the vertical state of the sample application to test ignition timing, ignition, combustion duration and combustion to assess its length flammable and fire hazard.